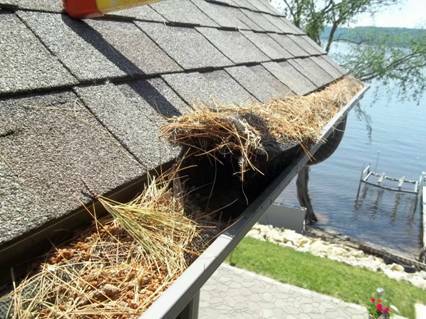 Clogged gutters is one things that you don’t want! Clogged gutters can lead to foundation problems and water damage to your home, clogged gutters can cause leaky roofs, ruin landscaping, and even cause the wood on your house to rot. You can pretty much count on the most common reasons for clogged gutters being leaves and debris that fall and fill up the gutters around your house. 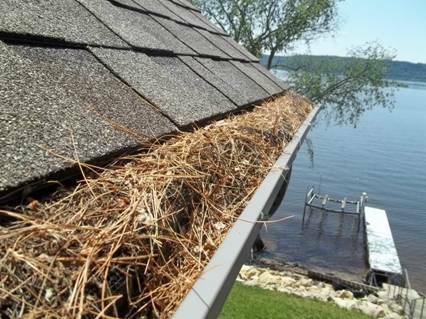 Much of the problem with gutters getting clogged is due to leaves, branches, pine needles, pine-cones , acorns and other tree fallen debris, asphalt shingle grit, and more. LeafLock gutter covers to the rescue! 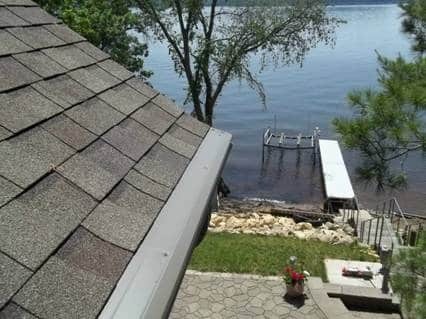 We were called out to Deer Island WI out by Lake Pepin to help assist one of our customers in fixing a clogged gutters problem. LeafLock gutter covers helped fix their gutter worries once and for all. As you can see these gutters were clogged up to the rim with debris from the past year. 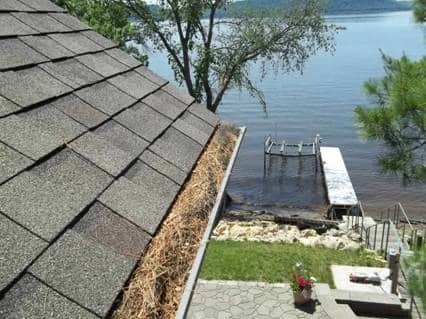 The solution to many of the issues that people experience with their gutters, is the best gutter protection system available. 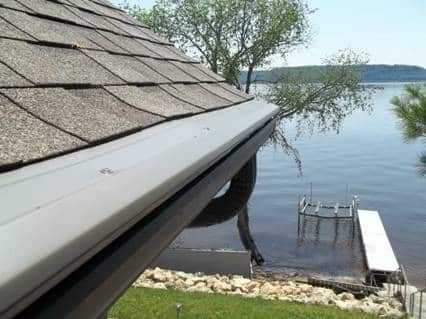 LeafLock gutter covers were the right answer to make sure that these gutters remain unclogged and allowing water to properly flow through them and away from the house. We only install the best. Our staff have been trained and certified to be EXPERTS working with gutters and gutter protection installation. Our technicians are PROS. They treat your home like it was their own. They respect your time and property. You can rest assured that once you have SnapLock or LeafLock on your home, it was done right the first time…every time! Say goodbye to cleaning your gutters every year, and say goodbye to worries of property damage caused by malfunctioning gutter systems. Contact us today and have one of our expert technicians see how we can help you. If you are interested in learning more about the LeafLock Gutter Protection System™ for your home, Click Here to see why LeafLock is the best.